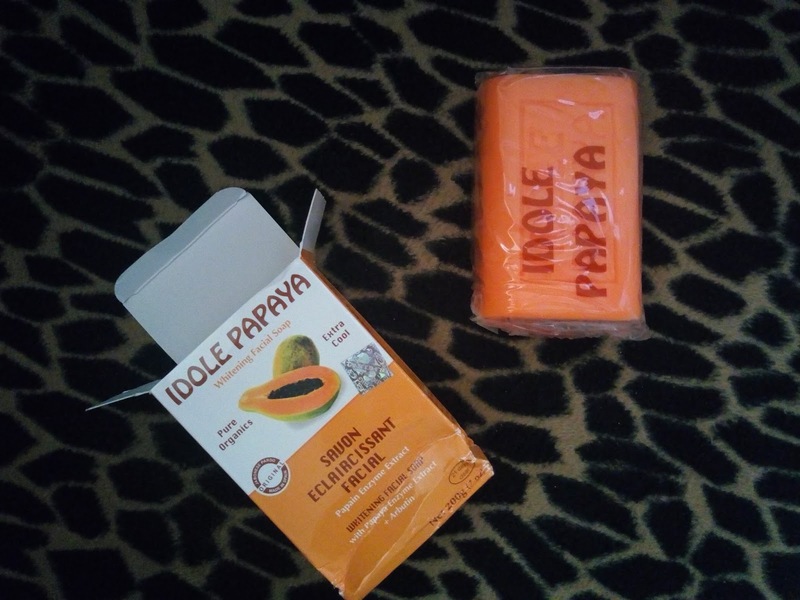 Well, the title of this review is supposed to be Idole Papaya Whitening Facial Soap but i had to exclude the "Facial" word to make it general because ive been using this soap all over my body not just my face, so my review here isnt only about facials. Idole Papaya Whitening Soap is my mum's soap. Thats what she has been using for almost 3 years now. I had the oppurtunity to use her soap once in a while when mine gets exhausted. It was all nice so i decided to get it when i had some cash on me. I bought it, used it and it was all good....here is my review on this product...hope you find it educating and interesting! This soap contains papaya enzyme extract + arbutin to accelerate the elimination of dead skin cells and to combat pigmentary blemishes. Not only does it deep cleanse the epidemis, but also whitens your complexion and leaves your skin smooth, even and radiant. Someone i recommended this product to told me the soap was giving her fanta colour, well this is for her own case but its a prove that this soap is really active. Smooth to the touch, never rough. Smells much like a fruit. Smells like papaya it self. Its a fanta coloured yummy soap with a very pleasant smell. Also tastes good too (Hahaha...just kidding). 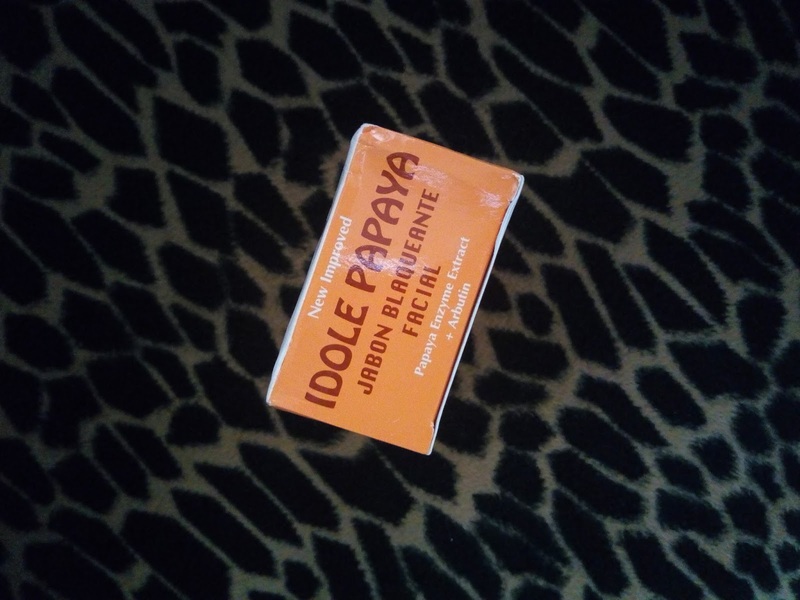 Idole Papaya Whitening Soap is 200 g in size and lasts for 1 month here for me. I use it without regular sponge in the mornings and in the evenings. Just make sure you dont expose it to water so it wont get soaked up. 2. 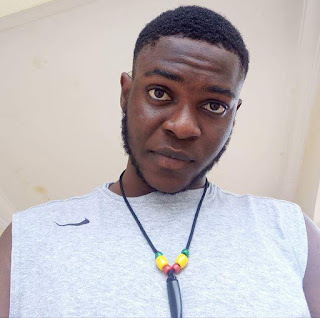 Lightened and toned my skin effectively. 3. Forms Lather readily with water. 4. Contains neccesary vitamins and ingredients for a healthy skin. Nothing really. No dislike on this one. But if im mistaking then ive gotta update here later. Use Idole Papaya Whitening Soap mornings and evenings as desired. It forms lather very well so not to worry. Avoid contact with eyes and vital organs. Just use as you always use your normal bathing soaps...this one is note so different. Best result when you use with idole whitening care. I bought this soap last week for N400 (Four Hundred Nigerian Naira) Here in Nigeria. However price may differ with location or seller. As written here on the paper pack, Idole Papaya Whitening Soap is made up of SODIUM PALMATE, SODIUM STREARATE, SODIUM PALM, KEMELATE, HONEY, GLYCERIN, SHEA BUTTER EXTRACT, PAPAIN ENZYME EXTRACT, ARBUTIN, VITAMIN A, VITAMIN C, VITAMIN E, FRAGRANCE, WATER, DSBP, HEDC, EDTA, SODIUM CHLORIDE, NaOH, C177491, C177492 & C177266. I rate Idole Papaya Whitening Soap 5/5. Rest asured. 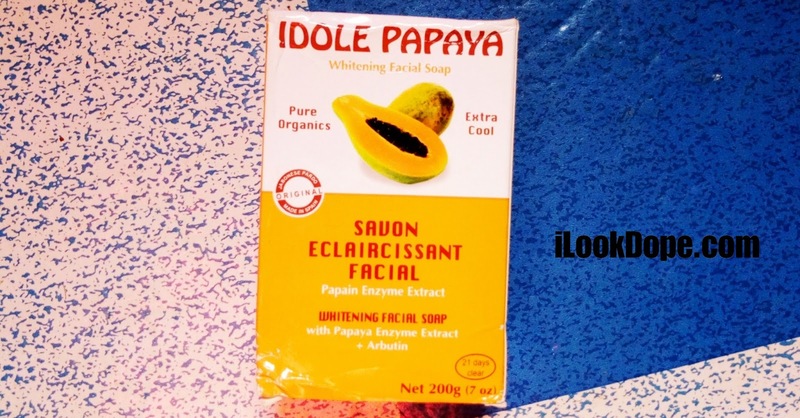 IS IDOLE PAPAYA WHITENING SOAP SAFE??? This soap is safe. No hidden ingredient(s), No bad odour, No dangerious effect or reaction...it worked just normal and fine. However, this product might work differently on different skin..but it was safe with me, my mum still use this soap till date. 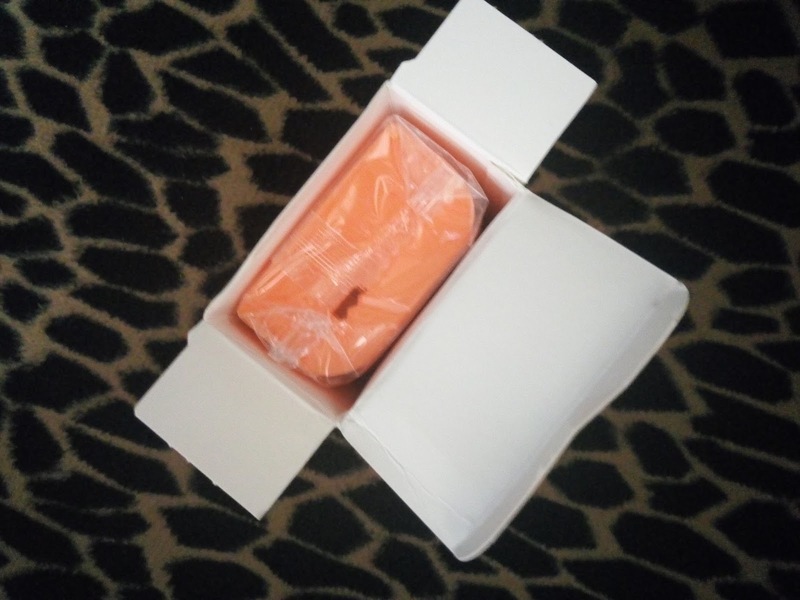 Idole Papaya Whitening Soap Is very safe and trusted, i bet my blog on this. 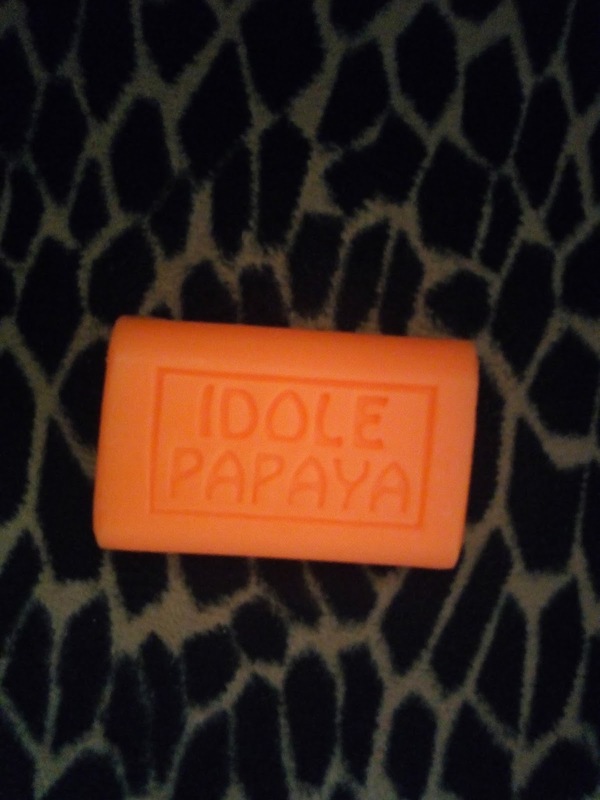 WHERE TO BUY IDOLE PAPAYA SOAP?? ?